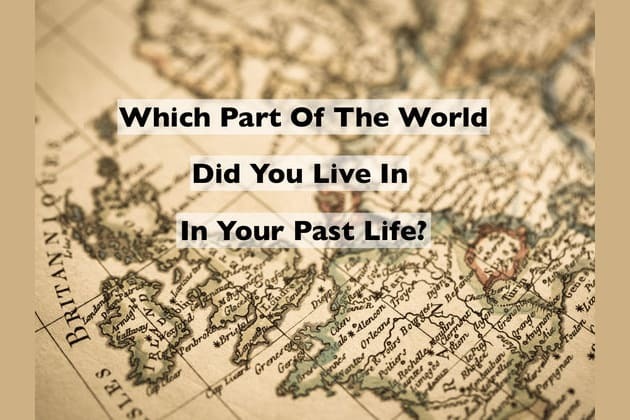 Which Part Of The World Did You Live In, In Your Past Life? What sounds like the worst way to die? Would you ever consider joining the army? Which continent do you currently live on? Would you consider yourself to be more traditional? Or alternative? Which country would you choose to vacation in? You used to live in the land of the free, America! Maybe you were a literal gold digger...or a lawyer...or a railroad builder...or a famous jazz musician! Who knows...it's the land of plenty. Have you ever gotten the feeling that you belong somewhere else? It could be that you're longing for your old home in your past life. Take this past life quiz to find out where your soul used to reside.